Real Betis are showing strong interest in Kevin Prince Boateng. 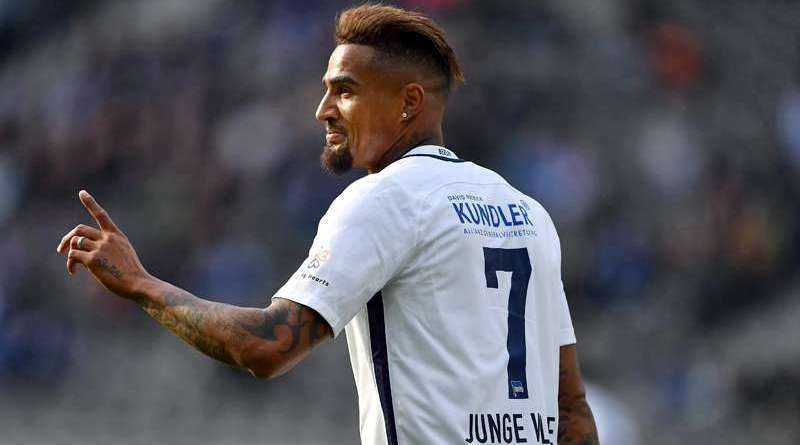 According to the football transfer rumours in Spanish media, Real Betis are linked with Eintracht Frankfurt forward Kevin Prince Boateng. The Ghana international joined Eintracht Frankfurt from Las Palmas on a free transfer in August 2017. Boateng made 33 appearances across all competitions for Eintracht Frankfurt, scoring six goals and supplying one assist in return. The 31-year-old is considered to be one of the best forwards in Ghana. Kevin Prince Boateng has also scored two goals in 15 games for his country. Adding a forward remains Real Betis’s top priority this summer and Quique Setien will have drafted a shortlist of a number of possible targets he could approach in the coming weeks. Setien is a long term admirer of Boateng and believes he can get the most out of the Ghana international. Boateng has the talent to play many roles in attack. The 31-year-old is certainly a player that would strengthen the current Real Betis squad and would be a good buy in the summer transfer window.